As a sporting nation, India are widely known for their excellence in cricket but football is a distant second love in the country's affections. But sixty-five years ago this week, as host of the first Asian Games, India stormed to the gold medal in football. In a straight knockout tournament, India brushed aside Indonesia 3-0 in the Quarter-Final with two goals from Mewalal and a marker from Venkatesh. They then saw off Afghanistan by the same score in the Semi-Final with goals from Mewalal, Venkatesh and Nandy to earn themselves a place in the Final against an Iranian side who had upset Japan in the other Semi-Final. In the Final at the National Stadium, Indian goalscoring legend Sahu Mewalal found the net again to lead his country to a 1-0 victory, handing the hosts their first ever winner's medal in an international tournament. 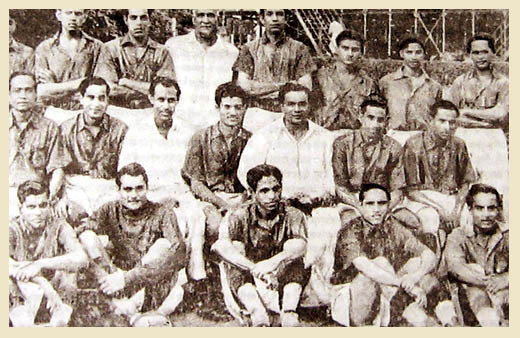 Led by coach Syed Abdul Rahim, who is considered the architect of Indian football, the national side enjoyed a fine period during the 1950's and early 1960's. After finishing an impressive fourth at the 1956 Olympic Games, India would win gold at the Asian Games again in 1962, seeing off South Korea by a 2-1 score in the final, and two years later the Indian national side would finish second to Israel at the 1964 AFC Asian Cup. Since that period, India has failed to return to these heights in either continental or global tournaments. However, strong showings at the regional South Asian Football Federation Cup, which has seen the country capture four of the last six bi-annual tournaments, and an increased interest in football across India could perhaps see this nation of 1.2 billion people one day soon become an emerging force in Asian football.